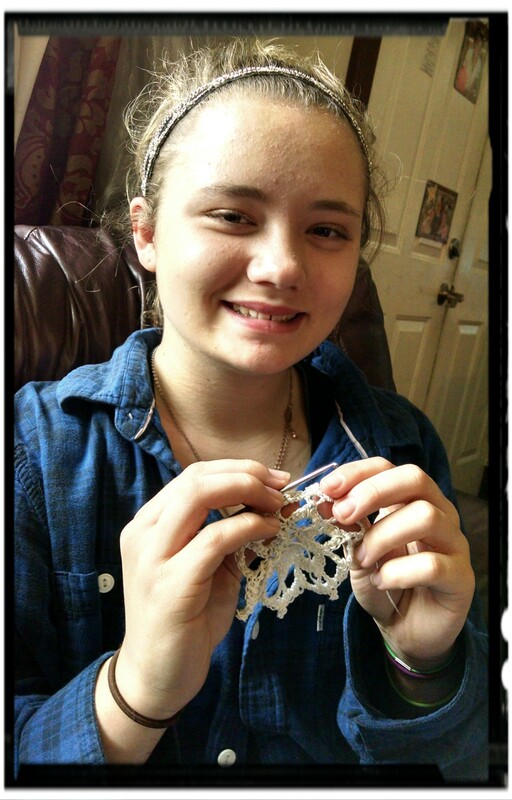 My daughter Lily is learning to make lace. She has made a few things with yarn in crochet, but she was new to thread. I started up a lacemaker class here locally this week, and she began attending. 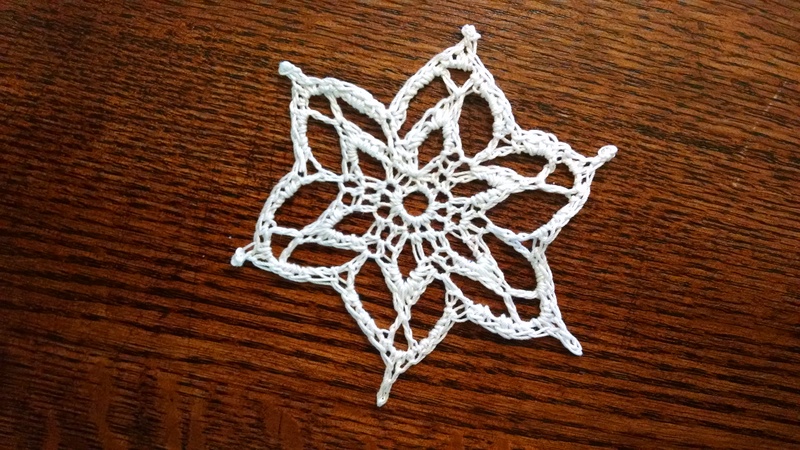 This is her first lace attempt, a snowflake! This snowflake took two tries to get right. The second time through the pattern only took an hour. She used size 10 thread and a size one Boye steel hook. When it was washed, shrunken, stretched and dry, it really looked beautiful. Lily wants to eventually make altar lace. She’s only 14 right now, but the amazing thing is that altar lace isn’t much different than a bunch of snowflakes, attached together. 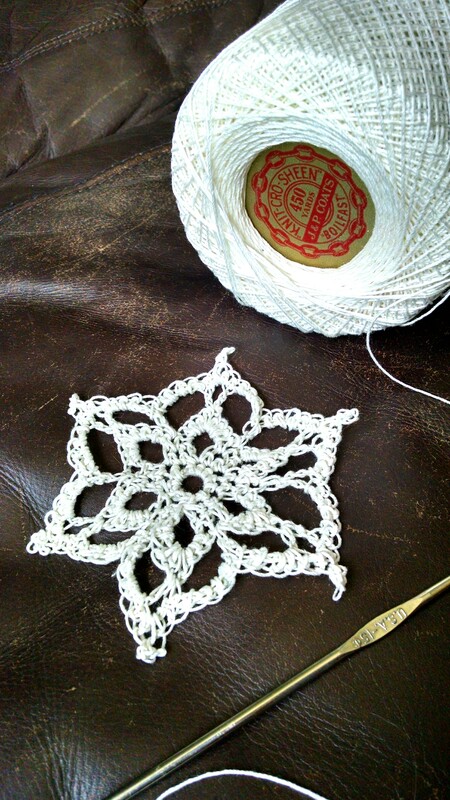 Once her stitching becomes even, she’ll be ready to make altar lace. Patterns don’t have to be complicated to be beautiful and meaningful.